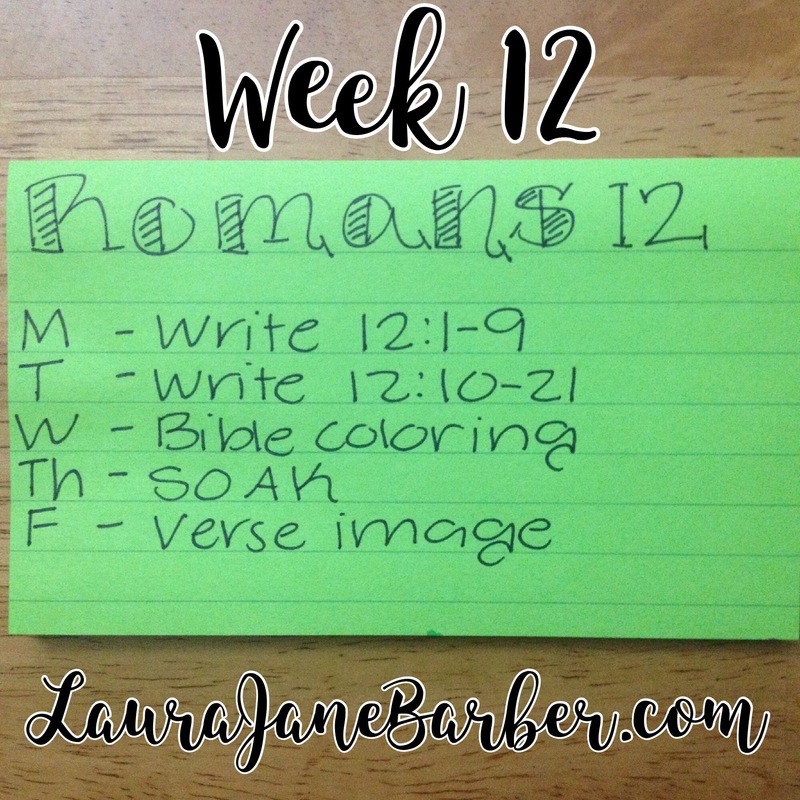 It’s time for week 12 in Romans. Be sure to share on Instagram using the hashtags #WaterIntoWineFaith and #GoodMorningGirls. Monday: Write out Romans chapter 12 verses 1-9. Wednesday: Color code the words/verses of chapter 12 either in your Bible or wherever you wrote out the chapter if you don’t want to color in your bible. S-Scripture: Choose a verse or two from chapter 12 that speaks to you. Write the verse(s). Choose a favorite verse or verses from chapter 12 and create a graphic!